Fee: $100 – includes continental breakfast, lunch, and afternoon refreshments with beverage service throughout the day, plus handouts and certificate (mailed post-event). Early registration discount – $90 if you register before May 7. Psychologists, masters-level social workers and licensed professional counselors who work with depressive disorders in children, adolescents, and adults. Appropriate for intermediate level practitioners. Behavioral activation (BA) is a “well-established, empirically validated treatment” of depression (Mazzucchelli, Kane, and Rees, 2009). Learn strategies for using BA with patients who often present with severe depression and a variety of co-occurring diagnoses. Information will be presented on a novel treatment approach including BA, strategies from dialectical behavior therapy (DBT), and exposure-based treatments for anxiety. You will learn how BA is used to reduce depression while assisting individuals in living a more meaningful life in line with their values. You will also learn strategies for frequently assessing and managing non-suicidal self-injurious behaviors/urges as well as suicidal ideation. Significant time will be allotted to discussion of this approach with adolescents, including modifications that may be needed, in addition to using this approach with adults. Describe the basic techniques of BA for depression and how these apply to both adolescents and adults. Identify the theory underlying and empirical support for BA. Summarize several strategies informed by DBT skills to manage distress and urges to self-harm. Identify individuals who would benefit from this treatment approach incorporating BA, DBT skills, and exposure-based interventions. Summarize how data from self-report assessments may inform the case conceptualization and treatment plan. Martin E. Franklin, PhD, serves as clinical director of Rogers Behavioral Health–Philadelphia. In addition to his role at Rogers, Dr. Franklin is an associate professor of clinical psychology in psychiatry at the University of Pennsylvania Perelman School of Medicine. Rachel C. Leonard, PhD, is a licensed clinical psychologist who specializes in utilizing behavioral activation and other cognitive behavioral-based treatment interventions for people with mood and anxiety disorders. She will serve as clinical director of Rogers Behavioral Health–St. Paul when it opens in 2019. Each professional is responsible for the individual requirements as stipulated by his/her licensing agency. Please contact your individual licensing board/regulatory agency to review continuing education requirements for licensure renewal. All participants who complete and submit a participation evaluation form and request for continuing education credit upon departure will receive a certificate in the US mail within two weeks. Psychologists and social workers must attend the entire event in order to receive CE credit. Social Workers: Rogers Memorial Hospital | Rogers Behavioral Health, provider number 1101, is approved as a provider for social work continuing education by the Association of Social Work Boards (ASWB), www.aswb.org, through the Approved Continuing Education (ACE) program. Organizations, not individual courses, are approved as ACE providers. State and provincial regulatory board have the final authority to determine whether an individual course may be accepted for continuing education credit. Rogers Memorial Hospital | Rogers Behavioral Health maintains responsibility for this course. Approval period: October 19, 2017 – October 19, 2020. Social workers completing this course receive 6.0 clinical continuing education credits. NJ Social Workers: This course is approved by the Association of Social Work Boards - ASWB NJ CE Course Approval Program Provider #129 Course #2375 from 03/29/2019 to 03/29/2021. Social workers will receive the following type and number of credit(s): Clinical Practice 6. Professional Counselors: Rogers Memorial Hospital | Rogers Behavioral Health has been approved by NBCC as an Approved Continuing Education Provider, ACEP No. 6192. Programs that do not qualify for NBCC credit are clearly identified. Rogers Memorial Hospital |Rogers Behavioral Health is solely responsible for all aspects of the programs.6.0 instructional clock hours will be awarded. 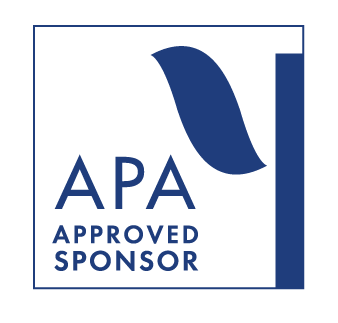 Psychologists: Rogers Memorial Hospital is approved by the American Psychological Association to sponsor continuing education for psychologists. Rogers Memorial Hospital maintains responsibility for this program and its content. Rogers Memorial Hospital designates this live seminar for 6.0 continuing education credits; no partial credits will be awarded. Other professionals: Rogers Memorial Hospital | Rogers Behavioral Health will issue a certificate of attendance commensurate with the extent of your participation in this activity. The registration deadline is two weeks prior to the seminar date. Registrations are accepted on a first come, first serve basis until enrollment capacity is reached. All registrations must be pre-paid. If registering within two weeks of the seminar, call 262-646-1356 for space availability. Online registration is recommended. Go to bookwhen.com/rogers for secure online registration and payment by major credit card (MasterCard, Visa). If you prefer to pay by check, you may click here to download a registration form and mail with your payment. Confirmation of registration will be sent by email, U.S. mail or fax. Cancellation: If you need to cancel your registration, please email workshops@rogershospital.org or call 262-646-1356. Please note that no refunds will be given. Special Needs: ADA accommodations will be made in accordance with the law; please indicate your special needs at the time of registration. Grievances: If a grievance arises pertaining to continuing education activities or processes, please contact the CE chair to submit a complaint via confidential email to: ngoranson@rogershospital.org, or by mail to: Nancy Goranson, PsyD, Rogers Behavioral Health, 11101 W Lincoln Ave, Milwaukee, WI 53227, as soon as possible, so that the nature of the concern may be addressed in a timely fashion. If the results of the grievance process are unsatisfactory, New Jersey social workers have the option to contact the approving entity, with an option to appeal to heir licensing board. Questions or concerns: To review the program agenda prior to attendance, or if there are questions or concerns not addressed in this announcement, please email workshops@rogershospital.org or call 262-646-1356.